Sometimes comfort & peace are best expressed through the gifts we share. 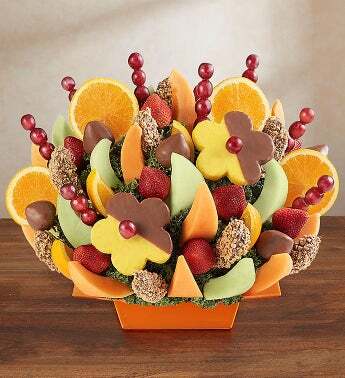 Our fresh fruit arrangement is available in two sizes, and filled with a selection of dipped pineapples, strawberries, apples and more. It’s a thoughtful reminder of how much you care for those grieving the loss of a loved one.